Clients design request: Logo Conceptualization, build company branding based logo for unique business venture of office space rental per basis. 10 concepts brought forth a variety of 3 to 4 different and unique ideas with 5 to 6 variations on all. 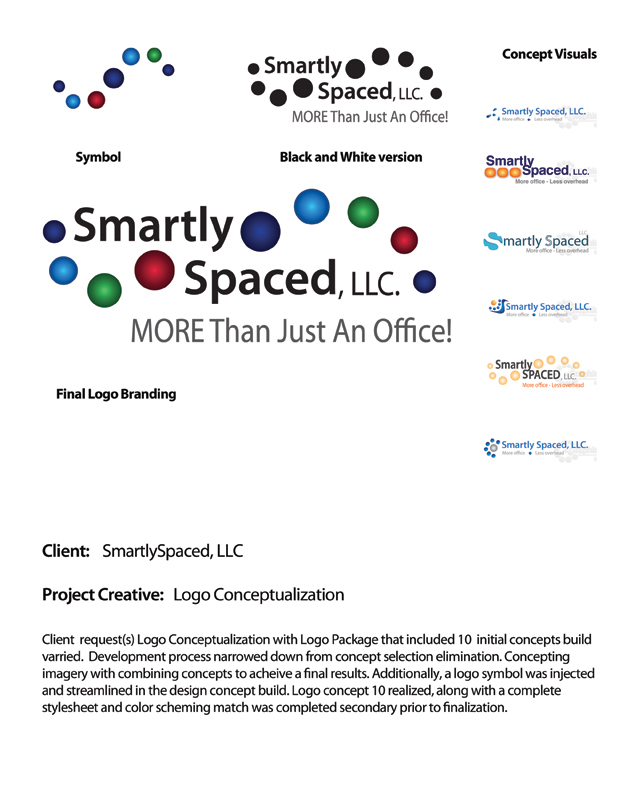 Completed style sheet and color schematics for completed logo branding.